It would be great if you could buy an over-the-counter drug online that would cure cancer, but it's not quite that simple, despite the claims of some unscrupulous companies. 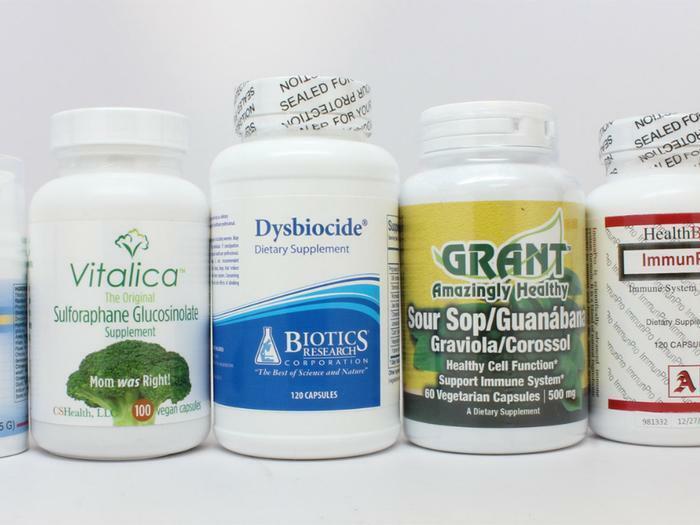 Fourteen such businesses are getting letters today from the U.S. Food and Drug Administration warning them that they are illegally selling more than 65 products that fraudulently claim to prevent, diagnose, treat, or cure cancer. The products are marketed and sold without FDA approval, most commonly on websites and social media platforms. “Consumers should not use these or similar unproven products because they may be unsafe and could prevent a person from seeking an appropriate and potentially life-saving cancer diagnosis or treatment,” said Douglas W. Stearn, director of the Office of Enforcement and Import Operations in the FDA’s Office of Regulatory Affairs. It's illegal to sell any product that claims to prevent, diagnose, treat, mitigate, or cure diseases without first demonstrating to the FDA that the products are safe and effective for their labeled uses. The illegally sold products cited in the warning letters posted today include a variety of product types, such as pills, topical creams, ointments, oils, drops, syrups, teas, and diagnostics (such as thermography devices). They include products marketed for use by humans or pets that make illegal, unproven claims regarding preventing, reversing, or curing cancer; killing/inhibiting cancer cells or tumors; or other similar anti-cancer claims. The FDA has requested responses from the 14 companies stating how the violations will be corrected. Failure to correct the violations promptly may result in legal action, including product seizure, injunction and/or criminal prosecution.